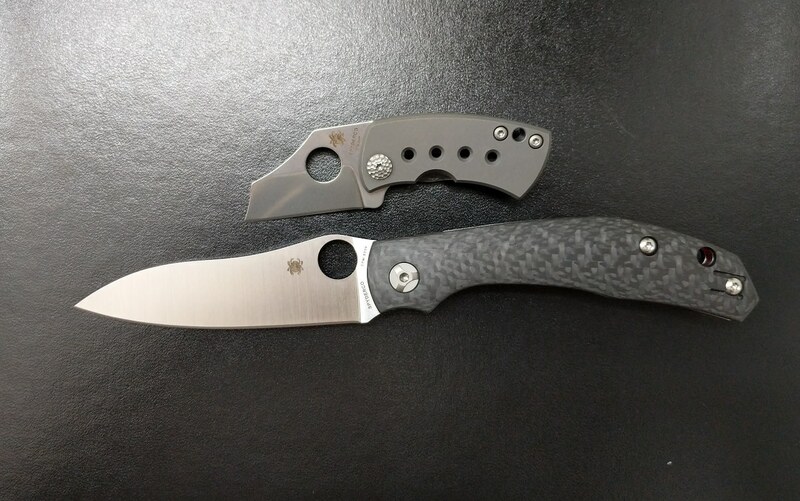 Just ordered my first Spyderco a Lil’ Native compression lock. McBee should be here tomorrow! Cbn rods for the sharpmaker and a doublestuff 2. Cruwear Para 3, Native 5 lightweight. Maybe soon a Shaman. Chaparral and a Caly or at the same time? Interesting. Essentially the same knife. The Chaparral will blow the Caly out of the water. Yeah I just wanted the Caly Jr bc I wanted to check out the super blue. I love carbon steel and want it to get a nice patina. Tho the chaparral is my new EDC for sure. Thought I missed out on these, but randomly checked and they had more back in stock...showed 7 before I got my two! Spyderco Military Blurple S110V, the newer model W/ Polished satin pocket clip. It’s just my absolute favorite steel in the world! I’m super excited to get it. Kapara and Junction out for delivery! Last edited by Doeswhateveraspidercan on Fri Nov 16, 2018 6:02 pm, edited 1 time in total. Been dying to get one! Few hrs ago I pulled my hb df2 out to pull cut a limb and the 1st thing that popped in my head was "spyderhawk would have ripped right thru 1st pull"